- A low tech miner that uses normal fuel. Replacing the the mined area with cobble and infinitely expandable (with enough resources). - A simple tree farm that plants and chop trees. 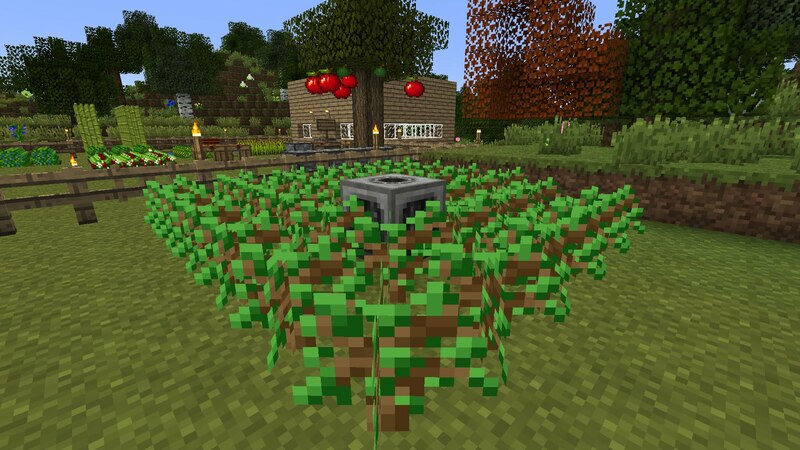 - A simple plant farm that plants and harvests crops. By crafting base materials with a nether star you will get wither materials. Using these materials you can craft tools using the normal crafting recipes. These tools have the advantage of having Unbreaking X on the tools. Perfect for putting into your machines. The RF engine is the core of all RF support for this mod, all generators need at least one in their crafting recipes and any machine you want powered by RF will need one inside. When machines are crafted they do not accept RF, to make them accept it you will need to add one of these Engines into its fuel slot. Once you do then the machine can be connected to generators and other mods cables. The energy that the machine stores will then be stored in the Engine itself so it´s possible to move the engine from one machine to another without losing the energy stored. By default (can be changed in the configs) the engines can store 40,000 RF.